Multipure Aquashower Filter supplied without Shower Head. Experience a Better, Healthier Shower. Chlorine is an inorganic substance that chemically bonds to the protein in our hair and skin, destroying its natural ecological balance. It’s fine for removing stains in your laundry. However, chlorine can leave your hair dry and brittle and make your skin flaky and itchy. It can also trigger negative reactions in children, the elderly, and people with chlorine-sensitivity. Studies have shown that for health reasons it is best to reduce chlorine in drinking water. Why not do the same with our showering water. You deserve healthier water in every aspect of your daily life, not just the drinking water. Our CB Tech dechlorinating shower filter provides a long lasting solution to the problems associated with exposure to excessive amounts of chlorine. 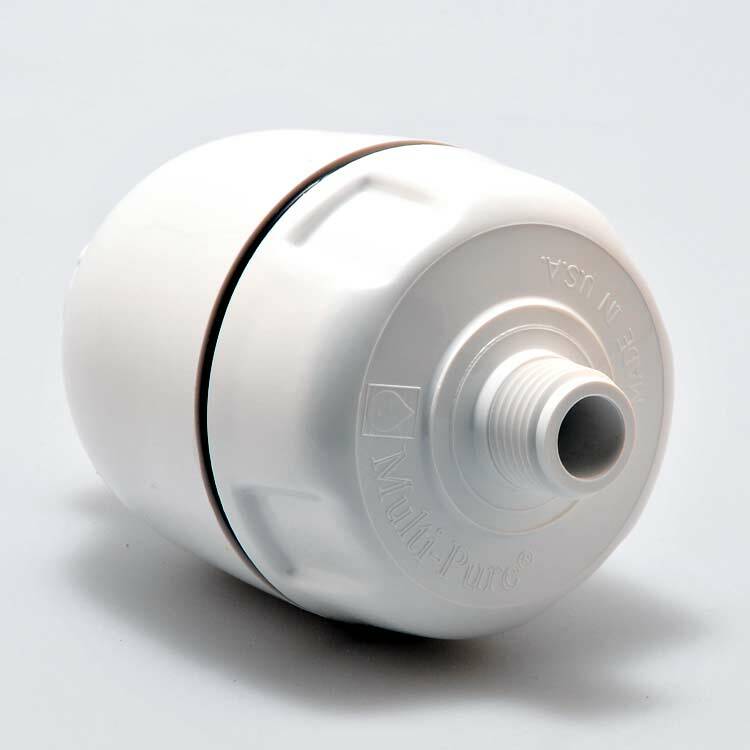 Its specially-formulated KDF filter media effectively reduces 90% or more of chlorine from shower water. Once in contact with the KDF, chlorine in the water converts into an environmentally safe and harmless soluble zinc chloride. Add our Energy Saver Showerhead or our Massage Shower Head or any good quality showerhead or a hand held unit. Please use only a low flow showerhead manufactured since 1993. The CB Tech Aquashower Filter includes Crystalline Quartz technology in its media for an energized shower experience. These specially-cured crystals act upon the water to create a softer, more energized shower “feel” and improve both lathering and sudsing. 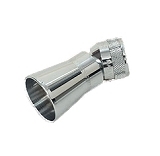 CB Tech’s Aquashower Filter is specifically engineered for efficiency and performance. 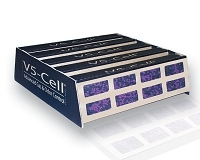 Its unique filter design provides the best shower experience available for you and your family. Unique filter design provides the best shower experience available for you and your family. 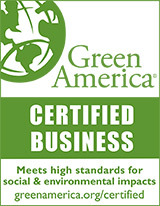 The CB Tech Aquashower filter has been tested according to NSF/ANSI 177 for reduction of free available chlorine. The concentration of free available chlorine in water entering the system was reduced to a concentration less than or equal to the permissible limit for water leaving the system, as specified in NSF/ANSI 177. 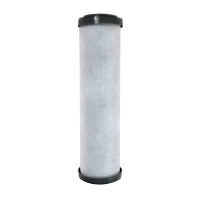 The capacity of the filter cartridge depends upon the amount of chlorine and particulates in the water to be processed. 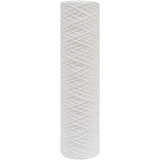 For optimum performance, it is essential that the filter cartridge be replaced approximately every 6 to 7 months. CB Tech Corporation warrants to the original retail customer its shower filter and components to be free of defects in material and workmanship for use under normal care, and will repair or replace any device at no charge, excluding transportation to CB Tech headquarters, to the customer during the warranty period. 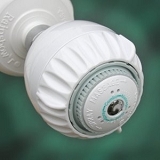 The Aquashower Filter Housing is warranted for a period of twelve (12) months. Use Coupon Code "sh10" and SAVE 10% ON YOUR SHOWER FILTER PURCHASES! easy to install-filters the city water on my shower.